Spinpact- LMW Compact System is developed for achieving Superior Productivity with Unrivalled Quality and Energy Efficiency. It is an Ultimate Compact System to produce a fully Compacted yarn for different applications of Weaving and Knitting. This Innovation from LMW helps in ease of operation and ease of maintenance thus improving the overall effective utilization of the system. 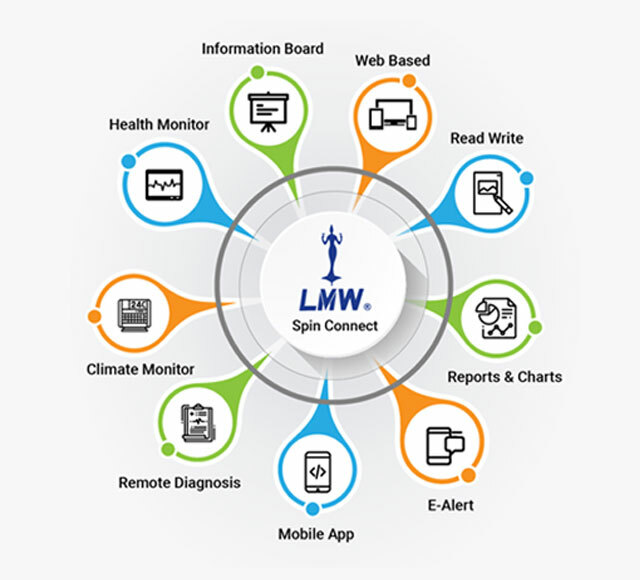 Inquiry LMW Spin Connect is a web based monitoring and control application which networks the process from Blow room to Winder. This system captures and displays parameters like Speeds, Production Stoppages, Quality, Power etc. Helps in close monitoring of Plant Utilization and Productivity levels. 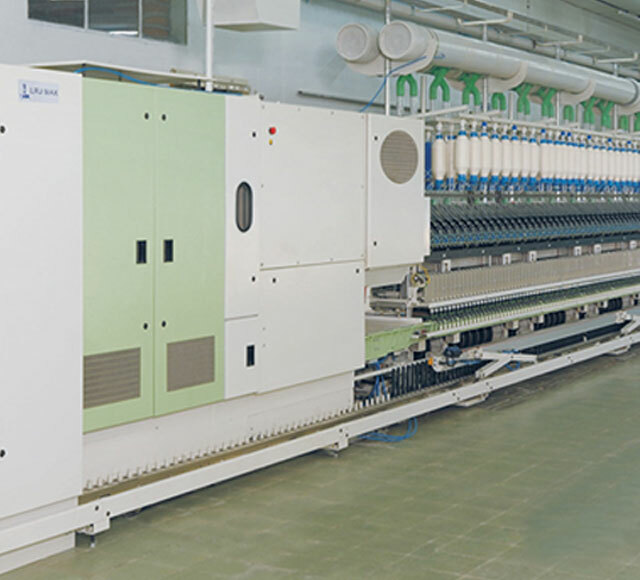 Inquiry we are engaged in manufacturing and supplying with a broad array of Lakshmi Winder LW72. Ring frame LR9SX/SXL Series of LMW ring frames are designed with innovated technology for versatility in product. All Superlative features of this series make it as a Gen-Next machine. All parameters including draft are changeable by simple screen touches and also ability to start quadrant wise make the machine user friendly. 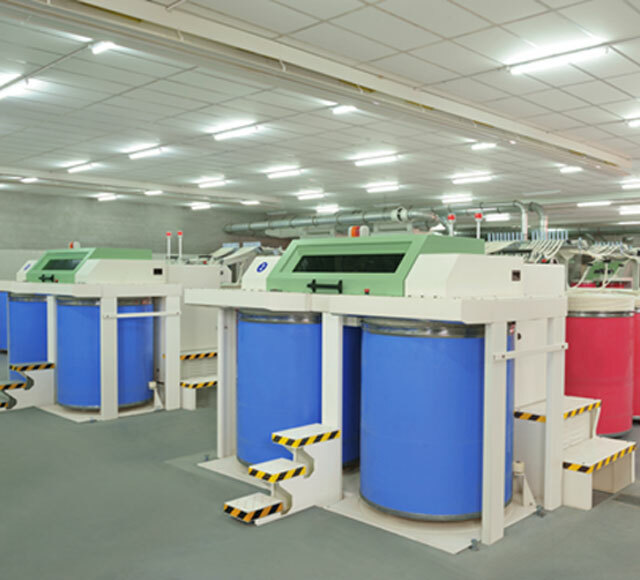 The technology ensures the Spinning of yarn with value addition for Profitability in maximum level. Inquiry LMW proven spinning geometry enhances the quality and productivity. LMW Ring Frame LR9 A/AX/AXL Series with robust design helps in less maintenance cost, machines with inbuilt Energy saving solution to ensure less Spinning cost and boosts Profitability to Spinners. Inquiry The Speed Frame LF4280 Series of maximum spindles upto 280 for spinning both Cotton & MMF. 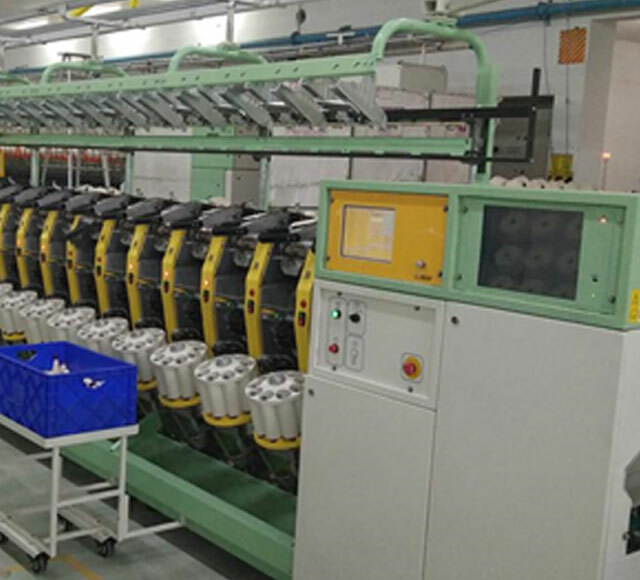 The machine can be easily clubbed with Roving Transportation System by installing bobbin converters in any of the sides of the machine.Automatic Tension Control system ensures the uniform and consistent tension of the roving and thus delivers perfect roving packages with Supreme quality. • Upto 280 spindles for both cotton & MMF. • Drafting drive through servo motors. • Effective & Uniform suction with CQ duct arrangement. • Detachable flyer spindle for removing bobbin in midway. • Dual & split drive concept. • Provision to drive sectional segments (40 spindles). Inquiry We provide Speed Frame LF4200 Series. 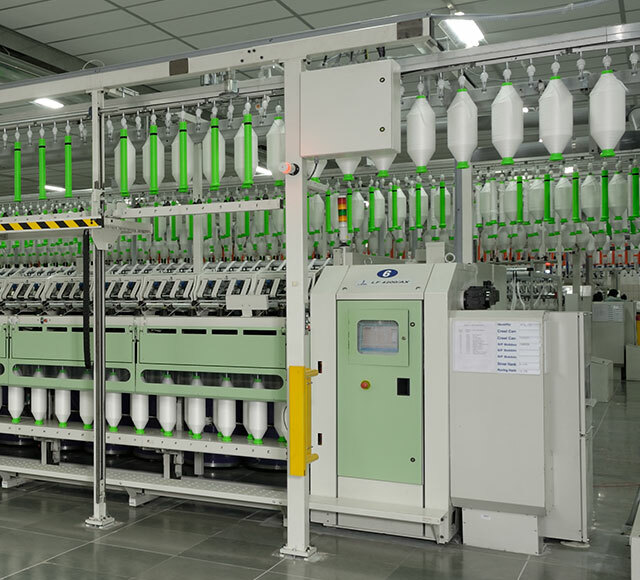 All the drives of Bobbin,Flyer,Bobbin trough and Drafting are driven by Servo motors.The machine can be easily clubbed with Roving Transportation System by installing bobbin converters in any of the sides of the machine.Automatic Tension Control system ensures the uniform and consistent tension of the roving and thus delivers perfect roving packages with Supreme quality. We are offering Speed Frame LF1400A. • Inverter controlled Main motor to adjust the Spindle speed through display. Inquiry The newly developed Autoleveller Draw Frame LDF3 is equipped with best in class in features like Servo draft, change gearless main motor, Auto piecing along with online sliver monitoring. Since LDF3 delivers benchmark quality at affordable price, it became instant success among customers. Inquiry Comber LK69 with “PACT”, “Sets the pace”, in the combing technology with a production of up to 2.1 Tons/day @ 600 npm. The kinematical linkage syntheses for synchronized and optimal movement of parts ensure gentle handling of heavier laps. 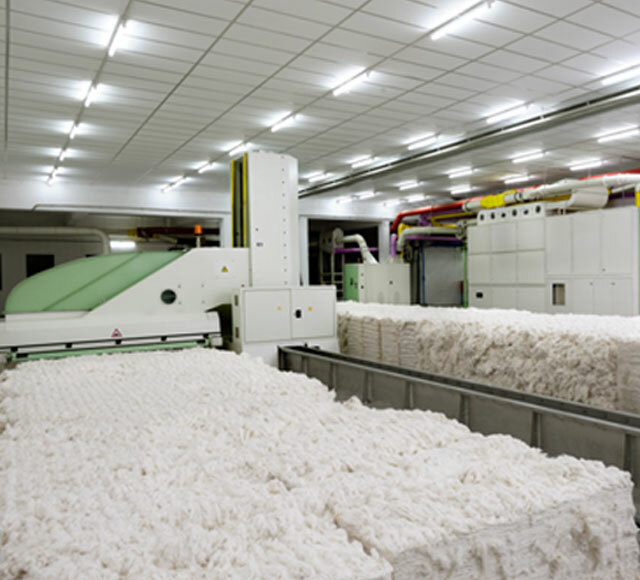 The optimal selection of fibre enables the machine to run at higher speeds without straining the fibre and ensure efficient removal of short fibres.